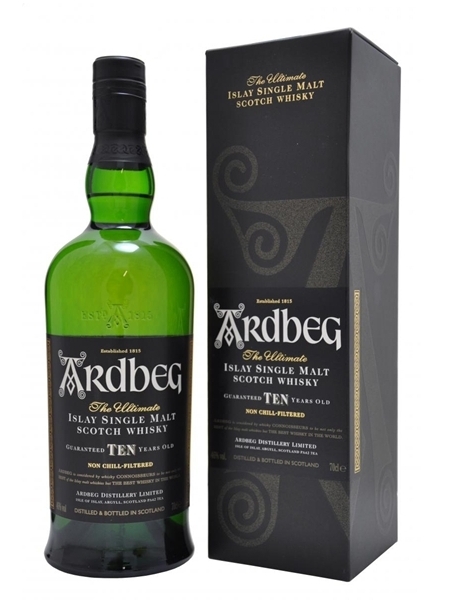 Ardbeg 10 Year Old (~€55) is an Islay single malt and it's a peat monster. When Ardbeg 10 was first released, it was the distillery's first release to be non-chill filtered. In 2008, Jim Murray awarded it World Whisky of the Year. This is a must try for any whisky drinker. It is bottled at a decent 46% ABV.